Judith Burke Joined Francis & Co in 1979 as an Articled Clerk and after qualifying as a Solicitor in 1981 moved to Bristol for six years and rejoining Francis & Co in 1987. Judith became Senior Partner in June 2007. 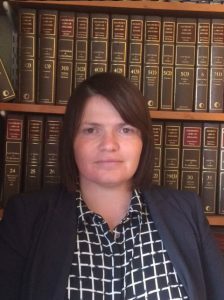 She is a member of STEP and specialises in advising on Wills, Inheritance Tax Planning, the Administration of Estates and advice to the elderly. Judith also handles both residential and commercial conveyancing transactions. Tony’s early career was in accountancy followed by management of a successful company. 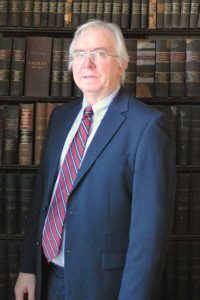 He joined Francis & co., to handle tax matters on behalf of clients and supervise the accounts department lending his long experience to office management. Charlotte Willis joined Francis & Co in November 2014 and is now the firms Family Partner. Charlotte also practises in Conveyancing matters, this is particularly helpful when a former matrimonial home is being sold as the result of a separation. Charlotte qualified as a solicitor in November 2005 where she specialised in family law. Charlotte is a member of the Law Society Family Panel Accreditation. Charlotte began also practising in the area of Conveyancing in 2013. Charlotte is therefore extremely experienced in both family law and Conveyancing matters. Charlotte has been a Family solicitor since 2005 and therefore is fully appreciative that this can be a very difficult period in a person’s life. Charlotte offers clear and practical advice with the view of resolving matters as quickly and cost effectively as possible to avoid prolonging what may already be an unpleasant time in a client’s life. Jessica has worked in the Conveyancing team since 2001 and brings a wealth of knowledge to residential conveyancing transactions and deals with sales, purchases, re-mortgages and post completion. She has over 20 years’ legal secretarial experience and her friendly, professional manner are a valuable asset to our team. Vicky’s specialises in Conveyancing, Equity Release and Wills & Probate and joined the firm in 2005, Vicky is efficient, personable and takes great pride in her work. 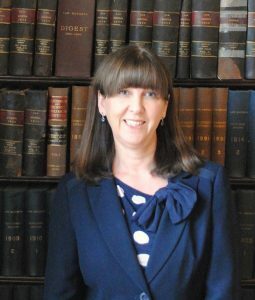 Geraldine specialises in Probate; Wills; Court of Protection and Powers of Attorney. Geraldine has worked in the Probate department since 2007. She thoroughly enjoys acting on behalf of the clients to bring matters to a successful conclusion.